Waterloo – The number of Ontario high school students who have accepted an offer of admission for full-time first-year studies at Wilfrid Laurier University has increased for the third straight year, according to data provided by the Ontario Universities' Application Centre (OUAC). As of June 1, the number of Ontario high school students who have accepted an offer of admission for first-year studies at Laurier was 4,646 — up 645, or 16.1 per cent, over the same time last year. Confirmations were strong across all programs at the Waterloo and Brantford campuses. Laurier’s confirmation results reflect the university’s commitment to strong academics, student support, and an integrated approach to learning that provides the essential skills students require for future success. Laurier consistently performs well in surveys that measure student satisfaction and engagement. 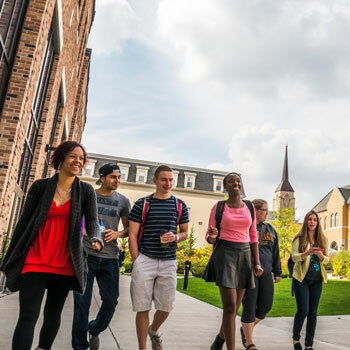 Laurier was ranked No.1 in its category nationally for student satisfaction in the 2017 Maclean’s University Rankings; Laurier earned the highest score in a recent national study of student career services conducted on behalf of the Canadian Education and Research Institute for Counselling; and Laurier had the highest proportion of students and alumni with volunteer experience compared to other universities worldwide, according to a study by LinkedIn. Visit wlu.ca to find out more about Laurier.